An elegant modern bedside offers a mix of subtle materials to compliment any decor. 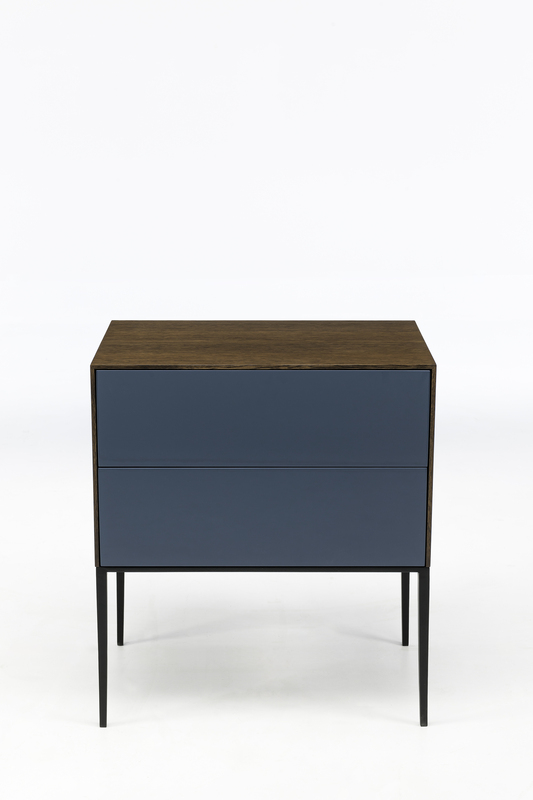 The body is made from Quarter Cut Oak Veneer with the drawer fronts lacquered in Resene Coast 100% Gloss. Your own finishes can be accommodated for your requirements.